Amazon has launched a one-day Gold Box sale on Hasbro toys that would make for ideal last-minute Easter gifts, but there are some gems in here that go a bit beyond the typical basket. 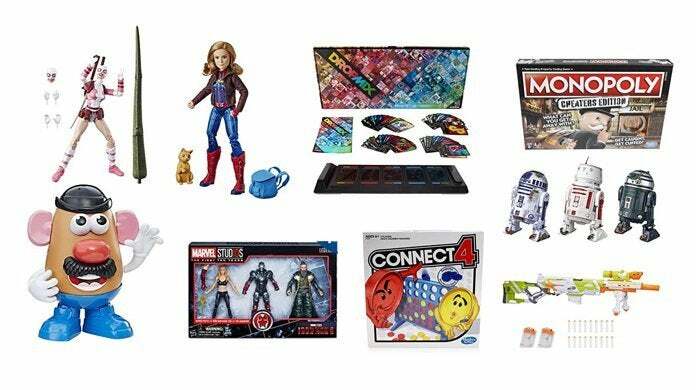 These include Marvel Legends figures, board games, Nerf toys, and more. You can shop the entire sale right here, but we've highlighted some of the standout items below. In addition to the items liste above, you'll also find classics like Connect 4 for $8.39, Mr. Potato Head for $4.82, and a big case of Play-Doh for $16.53. Head on over to Amazon to shop the entire Hasbro Easter toy sale until the end of the day today, April 15th (or while supplies last).